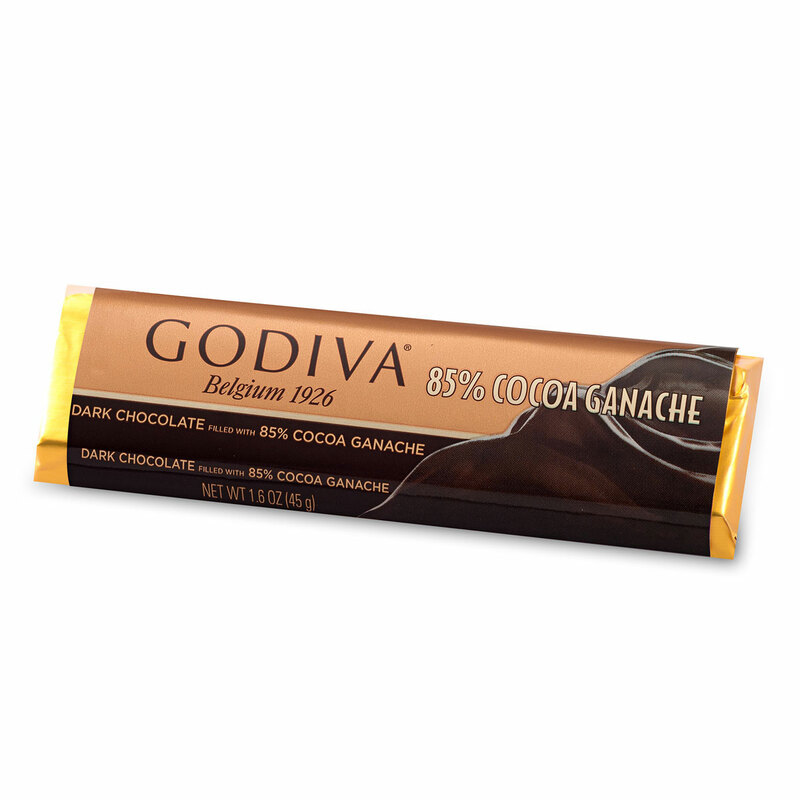 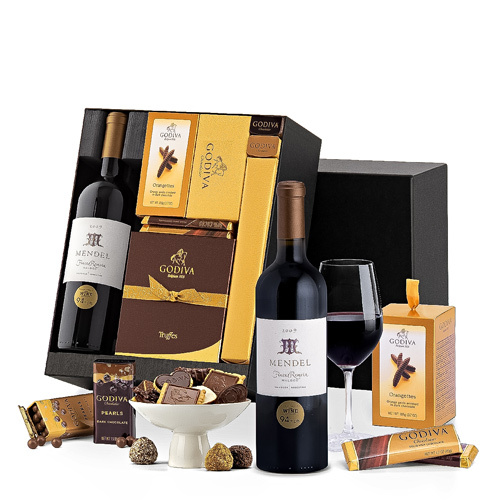 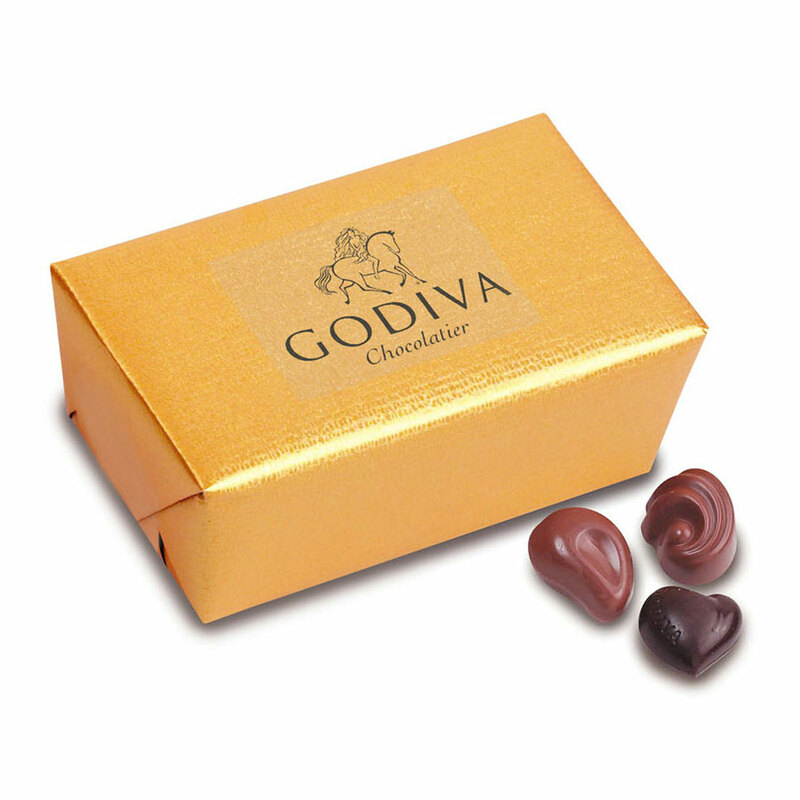 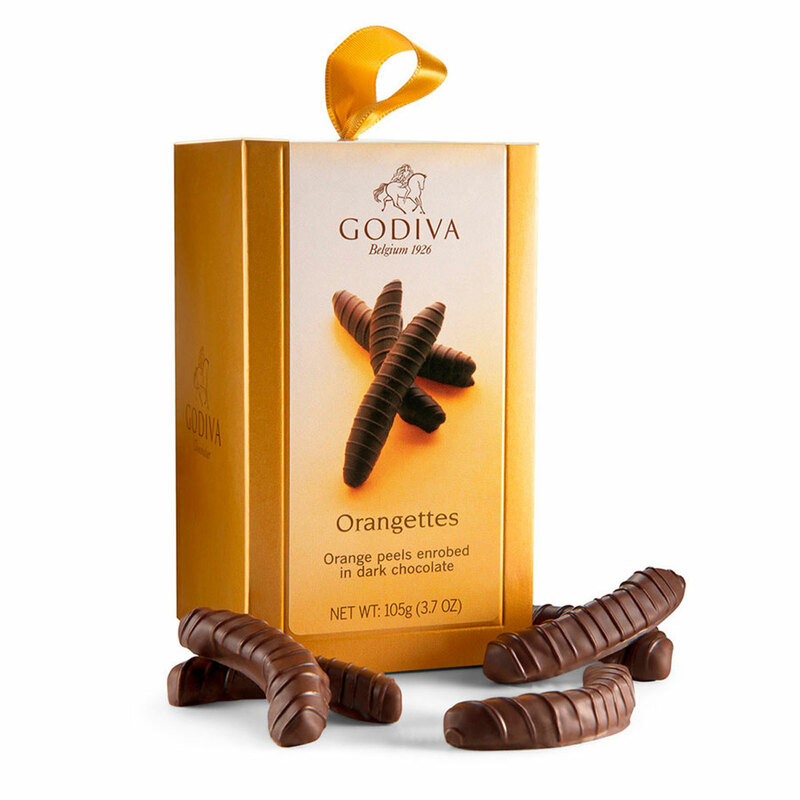 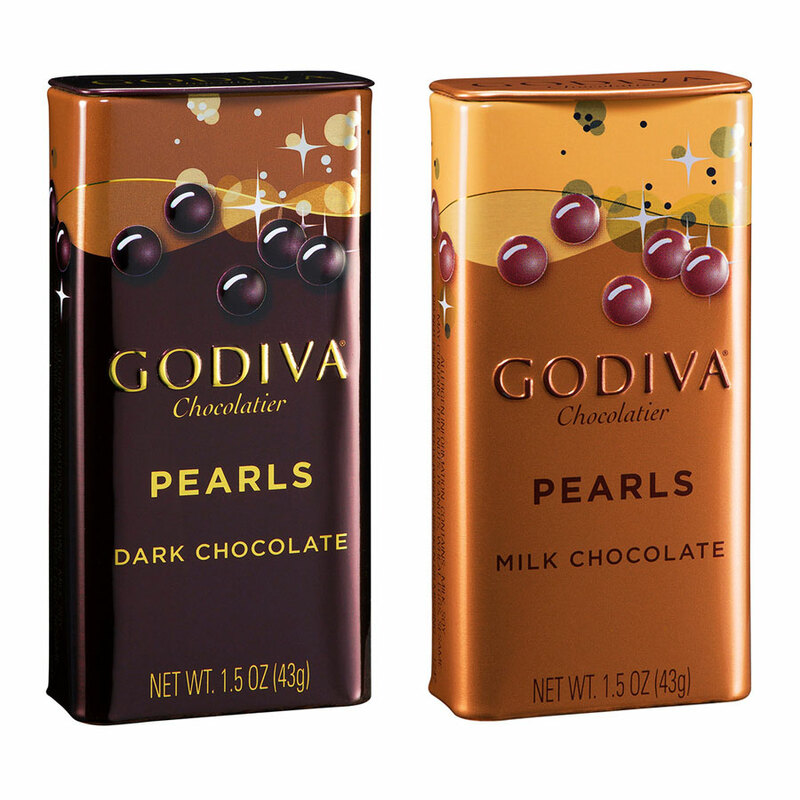 Treat someone important to this luxurious Godiva chocolate and wine gift. 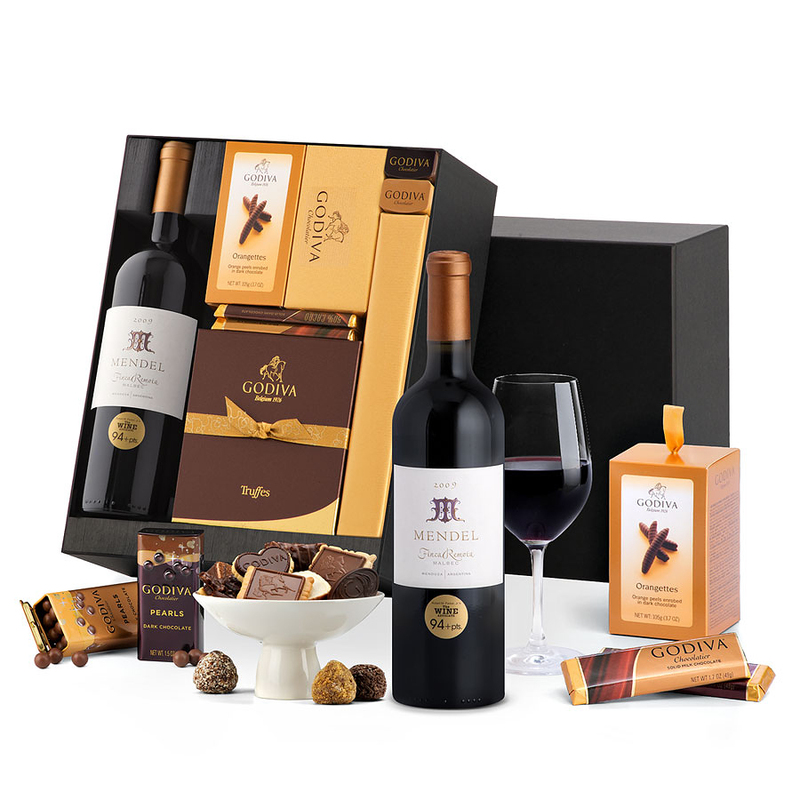 Presented in a stylish black box perfect for Christmas, corporate appreciation, or to send good wishes, this red wine gift box is a tasteful gift for any event. 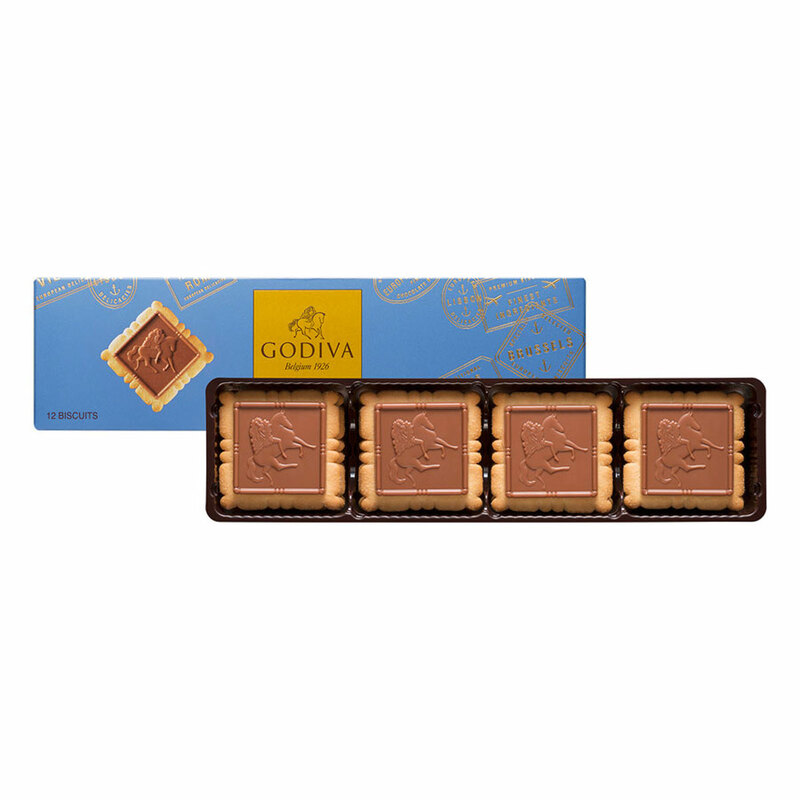 The heavenly flavors of Belgian chocolate combine with the full-bodied complexity of a bottle of Mendel Finca Remota red wine from Argentina. 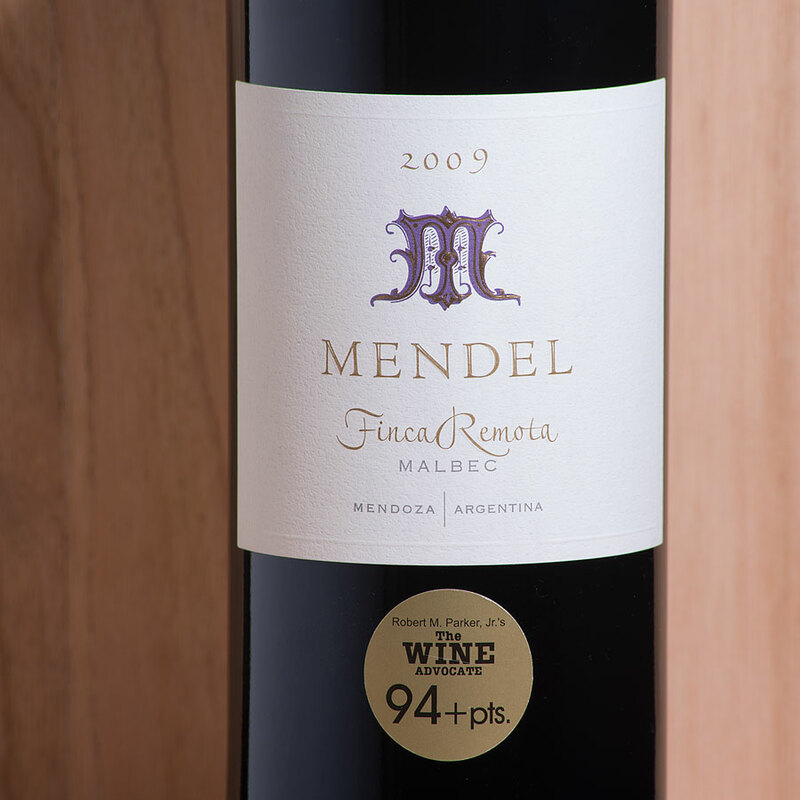 Mendel Finca Remota contains 100% Malbec grapes featuring aromas of spices, incense, lavender, earth, dark berries, and violets that will please any wine connoisseur. 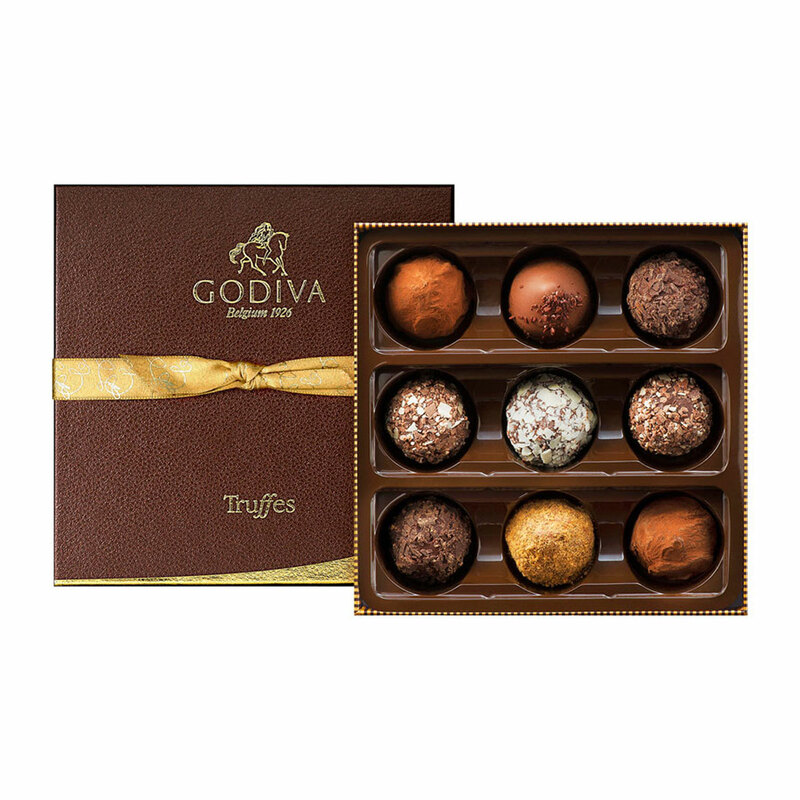 A selection of Godiva's finest truffles, traditional chocolates, biscuits and milk chocolate pearls rounds out this impressive winer lover's gift basket.